No, not that kind! Yes, I’d love to adopt a geosynchronous satellite, too, but I don’t think you can. Yet. While we’re waiting, though, you can totes adopt a dog or a cat from the Humane Society of Boulder Valley at their new satellite adoption center in Westminster! 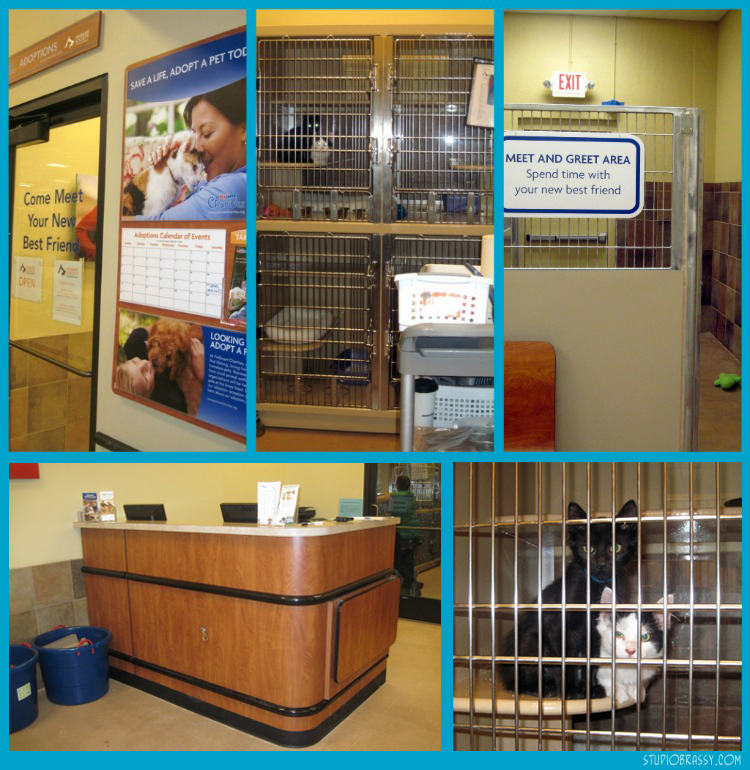 The local Petsmart, which is actually where my former roommate adopted her cat, gave HSBV a big ol’ chunk of real estate in the back of the store, and there’s now a little kitty section, several dog kennels, and three meet-and-greet areas for prospective adopters. And they even let me take some pictures for you guys! The grand opening was last Saturday, the 23rd, though they had a soft opening at the beginning of July. There’ve been a few articles about the new satellite center and its grand opening opening, should you want to read more about it. The first thing I noticed when we walked in to the dog kennel area was PUPPIES. So many puppies! There were only a couple of older dogs there, actually. Puppies tend to get adopted super fast, so maybe that’s why they had so many out in Westminster. When we adopted Tank, he had only been available since that morning. We had to wait in line to rescue that mutt, basically. He was about 3 and 1/2 months old, ridiculously cute, and came home with us that very night. And you know what we did right after adopting him? Took him to Petsmart. We needed stuff, yo. Dog stuff. So this pairing of Petsmart and HSBV seems perfect. HSBV gets more dogs adopted, and Petsmart will undoubtedly get more business as many families decide to get their new pet gear right there. I’mma let you finish reading this post, but I just want to say quickly that this is not a sponsored post. Now, I know what y’all really want to see: pictures! You’re in luck, because I had Chappy strapped to my chest and a camera in my hand, and visited the adoption floor. After taking a look around, I met a couple of dogs. The first was a pup named Rascal, whose already been adopted, and the second was an older dog named Roo, who currently has a Hold (not adopted yet, but fingers crossed for him!). 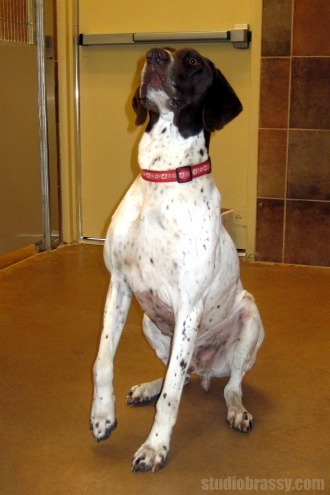 Roo is a 6 year old German Shorthaired Pointer. He gave us several lovely Sits, and he was far more mellow than, say, A PUPPY. That’s the awesome thing about older dogs – they’re usually far more chill, but still dogs. It’s that utter dog-ness that I really appreciate in my life. Fun, forgiveness, exercise… all Dog Things. Oh, and snuggles. That might not be a universal Dog Thing, but it’s definitely a Brassy Thing. So if you’re in the area and looking for a new furry friend, please go check out HSBV, now even closer! Well. Closer to my house. Your mileage may vary. Literally.